Goat hair, designed in a narrow fan shape with long flexible fibres. 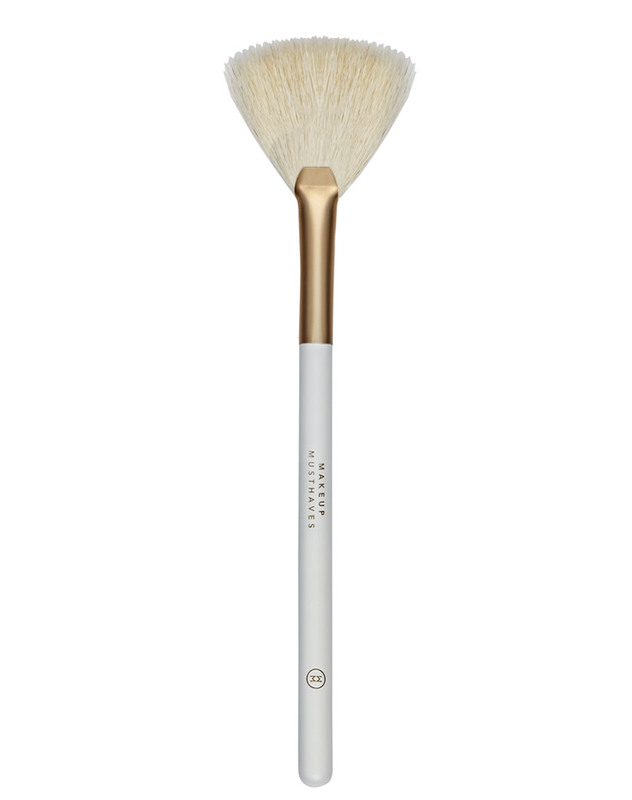 This brush is specifically engineered to make contouring easy. Dip the entire tip of the fan into the bronzer, tap off the excess and sweep the narrow edge of the brush in gentle tickling motions from the middle of your ear at the tragus bone, diagonally down, halfway towards the corner of your mouth to help slim your face. After 3 sweeps, stop, and look at how much product you have transferred, repeat this step if needed. Turn the brush 90 degrees using the widest part to tickle your skin faster for blending. This brush can also be used in the hairline to narrow or shorten your forehead, down the edge of your nose to slim, and on part of the jawline to sculpt and narrow. You can even sweep under your bottom lip to make it appear fuller! This brush can also be used to bronze. Use a small amount of product, and just gently tickle over the areas of skin you want to warm up.